Bambi is celebrating its 75th anniversary this year! It joined the Walt Disney Signature Collection on Digital HD and Disney Movies Anywhere on May 23rd, and on Blu-ray™, DVD and On-Demand on June 6th. Released in 1942, Bambi took over five years to make due to its exquisite hand-drawn artwork and attention to detail. Celebrating Tyrus Wong (Exclusive to the Digital Release) – This feature is a heartfelt look at the man who played a key role in the success of Bambi. The soft water-colored backgrounds and beautiful palettes in “Bambi” were inspired by Tyrus’ concept art paintings. Tyrus Wong passed away in 2016 (at 106!). This is a fantastic tribute to his style which would change the art of animation forever. The Bambi Effect – Bambi was full of innovations for its time. This feature takes a look at how those past innovations affected future Disney animated titles all the way up to today. Getting to see how Bambi has impacted movies even as recent as Zootopia is really fascinating and totally worth watching! Oswald The Lucky Rabbit: “Africa Before Dark” – We love that Oswald is finally getting the screen time he deserves! This short is fun, silly, and a great glimpse into animation’s past. 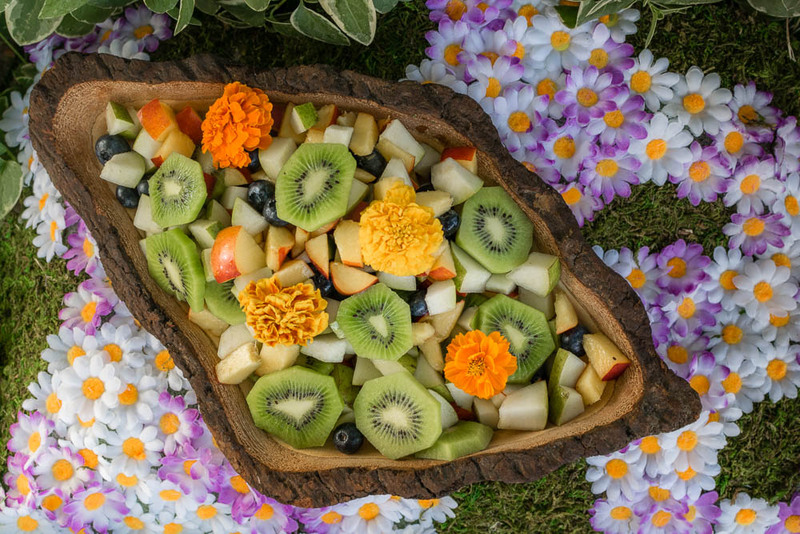 Our Flower’s Floral Fruit Salad will take much less time to make than the movie did to create. However, it is still sure to impress. We chose a selection of fruits of that not only pair well with one another but the floral notes of the dish as well. For those flavors, we used lavender water and edible flowers. To find edible flowers, you will probably have to visit a specialty grocery store or an organic garden. Just make sure that if you get them from a garden that no pesticides were used. Lavender water is another ingredient that you will have to go to a specialty story for. You can also purchase it online. 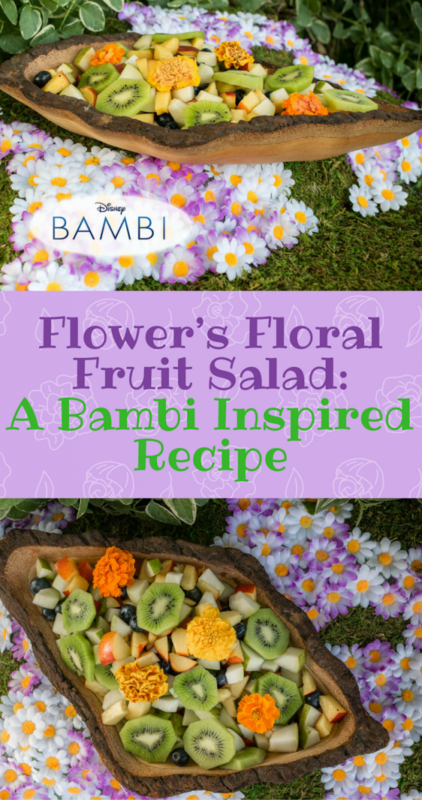 We hope you try out our recipe for Flower’s Floral Fruit Salad! What other ways do you use edible flowers? We’d love to know! Leave a comment below or use the hashtag #GeekEats! Also be sure to check out Bambi tomorrow! Bambi is Available on Blu-ray, DVD, Digital SD and On-Demand on 6/6! *This is a Paid Promotion for Walt Disney Studios’ Bambi; We were also provided with an advanced copy of Bambi for research purposes. Images and title treatments were used with permission from the Walt Disney Company. All opinions are wholly our own. View our Disclosure Policy for more info. what a pretty salad! This makes eating the fruits so much easier for kids and not fruit fans! I’m always looking for ways to sneak in more “good for you food” to our menu. Thanks! I bet the kids will love it! I just love that Bambi inspired this recipe as it sounds amazing on a hot summer day! This would be perfect to serve at a viewing party with the girls! For sure! I will be making it again this summer! How cute and yummy. Bambi is my favorite Disney movie. This brings so many great memories from childhood. I have never tried lavender water. I am very intrigued to give this recipe a try! And Bambi celebrating 75 year?! That’s crazy! We use lavender water in all sorts of things! Reminds me that I need to get a new bottle! lol! Such a great idea, and LOVE that it’s inspired by Bambi! 😉 Looks delicious and can’t wait to try it! Aww so cute.. My little one loves Bambi. You really served it so pretty. I bet the kid never complain about a salad when served like this. We eat with our eyes and noses first so I love presenting dishes in a pretty way! Thanks for stopping by! Lavender water sounds like it’s a lovely ingredient. I cook with dried lavender regularly, but never experienced lavender water. I can only imagine the flavors this brings out in the fruit!! Beautiful!! This is so pretty and love the flavor combination. I love the movie Bambi and I can’t believe it’s completed 75 yrs, that’s truly amazing! First off…I LOVE Bambi. My grandson still cries in a few of the scenes. This salad is so pretty and has lots of nutritious and delicious ingredients. 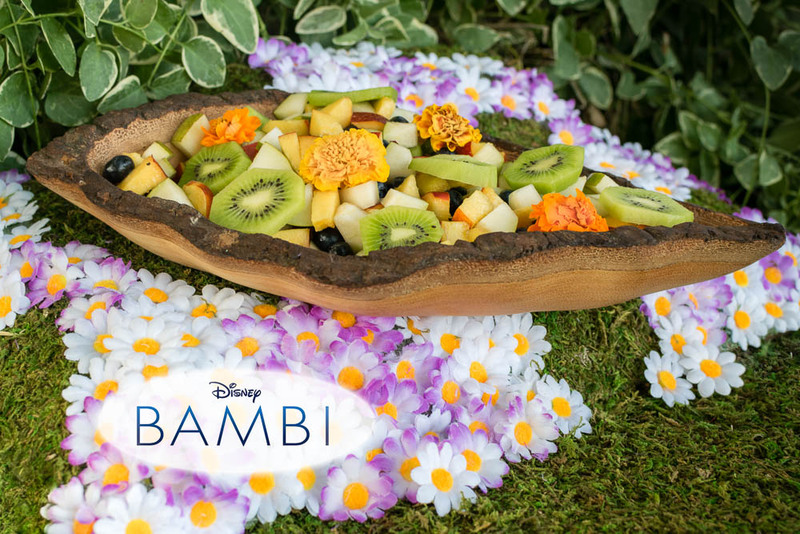 Such a beautiful fruit salad and when you pair it up with Bambi. . .well. . . I’m sure it will be a big hit with the kiddos. As for the edible flowers. . .I’ve been on the hunt for some with little success. I purchased some online but was not happy with the product. Would love more info on where you get yours. Oh man I cried so hard at the beginning of this movie! I’m sure Bambi would have thrived on this recipe. Looks yummy! First off, that salad is GORGEOUS! Secondly I love the addition of the lavender water to it, I can taste it already. This would be great for a summer BBQ on a hot day. I love floral elements in food. The addition of lavender water sounds lovely! Ha ha! This is such a cute idea. I think my little niece would love it.